Sampling from acidic saline drains in Western Australia. 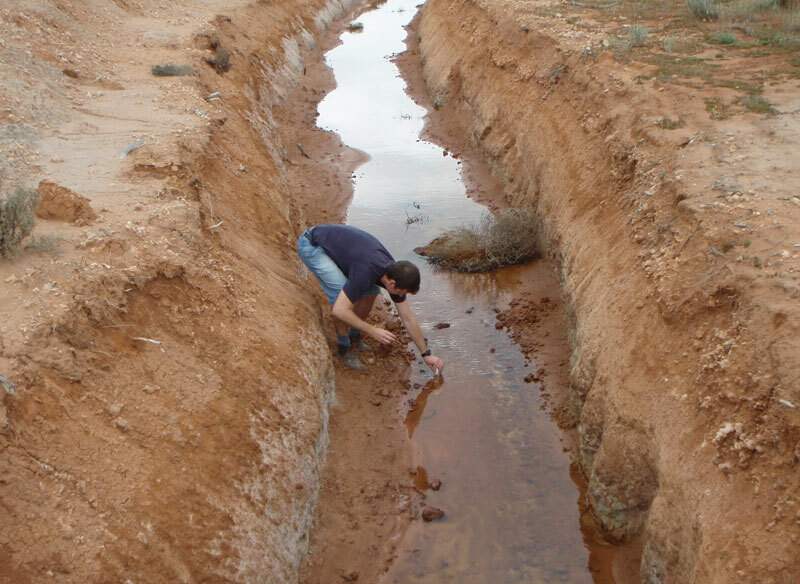 High salt concentrations in Western Australian groundwater have restricted the mining industry’s use of microorganisms to extract metals from their ores. Until now. Carla Zammit completed this study during her PhD at Curtin University and is currently a postdoctoral researcher at The University of Adelaide.